I've been a plant-based endurance athlete for over 7 years. It is seldom that I think consciously about these nutrition choices because I am fully adapted to making food choices free of animal products. Recent inquires lead me to put this post together…aimed at providing some input into a plant-based diet aimed at supporting an athletic lifestyle but not compromising convenience or cost- effectiveness. Veganism /ˈviːɡənɪzəm/ is the practice of abstaining from the use of animal products, particularly in one's diet, as well as following an associated philosophy that rejects the commodity status of sentient animals. A follower of veganism is known as a vegan. True “veganism is a life free of animal products and nutrition in any way or form. So, in truth, the word “vegan” is not truly applicable to many of us who claim the title for simplicity sake. More appropriately, those of us who eat primarily vegan are more appropriately referred to as “plant-based”. People have the desire to categorize others under one title, but in this case, it’s important to understand that choosing plant-based nutrition does not make you 100% “vegan”. At the same time, a plant-based, vegan, diet can yield you great heath benefits and a new perspective on life in general. Through my initial efforts to improve athletic performance and health, I have benefited from a greater awareness to the cruelty to animals that take place in our current food production system. This clarity and increased awareness provided me a greater respect for all life. Over time, I increasingly find many of the common cultural habits in our society to be very selfish and ignorant to their negative impact on other people, animals, and the earth itself. This came as a secondary benefit of choosing plant-based nutrition. People have different reasons for choosing a vegan diet. For me, my choices were initially the effort to improve athletic performance/recovery. I had a reached a limitation in my endurance training for physical effort. That is, I was not finding any greater improvement through more physical training. At that point, I considered the other factors that would help maximize my training. Those were nutrition and recovery. So, I began experimenting with a vegan diet and Bikram yoga. Both enhanced my athletic performance and self awareness greatly. I personally think it’s a mistake to make any significant life choices based solely on weight control. It’s almost always a mistake for people to take on their first marathon with an overall goal of “losing weight”. Of course, weight loss is a result of consistent training and proper food choices, but it should be lower on the list than positive motivators like improved overall health, or chasing that marathon dream. In this, it is a mistake to choose a vegan diet solely for weight control. This is not a “diet”. That word has been poorly used through marketing efforts in the last 50 years. No, going plant-based is something that should be carefully thought-out and for the right reasons. There are common foods that must be exchanged. Anything that was meat or dairy, must be exchanged for something similar but free of animal derivatives. Cheese Daiya, Soy Station Almond, soy, etc. Ice Cream So Delicious brand, coconut/soy, etc. Post Run: Vega recovery protein w/rice milk. Lunch: Spinach salad w/tomatoes, carrots, pepitas and Ken’s Steakhouse balsamic honey dressing. Morningstar “riblets”. Vega sport protein w/1 cup rice milk, 1 cup mixed frozen berries. All day: 110 oz water consumed over the course of the day. When fueling plant-based, you will quickly realize that you need to eat more often. That is, if you are an athlete, you will be eating every couple of hours. I don’t go anywhere without food of some type. I carry granola and fig bars with me. I also plan where I’ll be eating if I’ll be away from home. I know the exchanges that can be made at common restaurants like Chipotle, Noodles and Co, Which Wich, etc.. This is just the normal routine because I live an active, busy life, on top of trying to ensure health habits and choices. It’s very difficult for me to put together a comprehensive how-to on a plant based diet. What I will share is that you need to know “why” you are choosing to take this path. And also, you need to have some idea of what foods contain and how you should go about making the exchanges like those listed above. I am limited by the same things that people offer as excuse for not being able to eat healthy. For me, however, very few things in life are more important than my health. I started this journey to make a significant lifestyle choice 7 years ago. 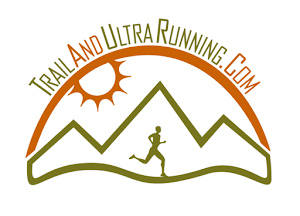 That choice was confirmed by the way I felt and the rapid recovery I saw through ultrarunning. I feel better, sleep better, and I’m always alert and ready to take on life. For these reasons, I continue to live this way. I hope some of this information helps you on your journey.